Since we’ve had a laundry list of serious topics over the past several weeks, we thought we would give you a new, funny take on ways to survive the holidays with your family. The holiday season is officially in full swing which means you are going to have to encounter just about every member of your family over the next several weeks. ‘Tis the season for being interrogated with questions regarding your relationship status, being forced to share your room with numerous family members, and being exiled to the children’s table even though you are over the age of 21. Drink the alcohol. ALL the alcohol. The classic remedy for avoiding any and all family drama. Keep that bottle handy, keep grandma’s glass full, and let’s party. Everything is easier to tolerate when you’ve had a few...or a lot. These are good for noisy *tuning out grandmas stories you’ve heard 5 times* relatives. Or if you’ve simply heard enough of your uncle’s drunken rants about EXACTLY how he feels about the president. Plus, you can tune out how many times your mother tells your relatives that yes, you are STILL single. Get your hands on ALL the caffeinated beverages. After traveling all day, you can be on the borderline naughty list, but get an IV drip full of coffee and you are suddenly Santa’s little helper. Any beverage stronger than water is really the only thing getting you through the holidays. Commit to (or attempt) a DIY project. Block out the chaos and your mother’s constant need for your help with a project to keep your mind and sanity at ease. You don’t have to go “Buddy The Elf” and hand-cut paper snowflakes to cover the house or cause a power surge because you put too many lights on the house, but a simple painting might do the trick. Spend all your money online shopping. Who goes to the mall anymore? Online shopping is a foolproof way to avoid all those weird kids from high school that you don’t talk to anymore. This also steers your attention away from your family and all of their dysfunction. As far as you are concerned, you don’t know these people. When in doubt, fake it ‘til you make it. ​Turn that frown upside down and keep it together! Your face might start to hurt but it can’t be any more painful than spending the holidays with your weird Uncle Larry. ​If you are seeing a significant other this holiday season, maybe you can con your way into their holiday plans. It might still be awkward, but at least you get to sit back and watch someone else’s family dysfunction unfold. With these tips, you might actually get through this holiday season. 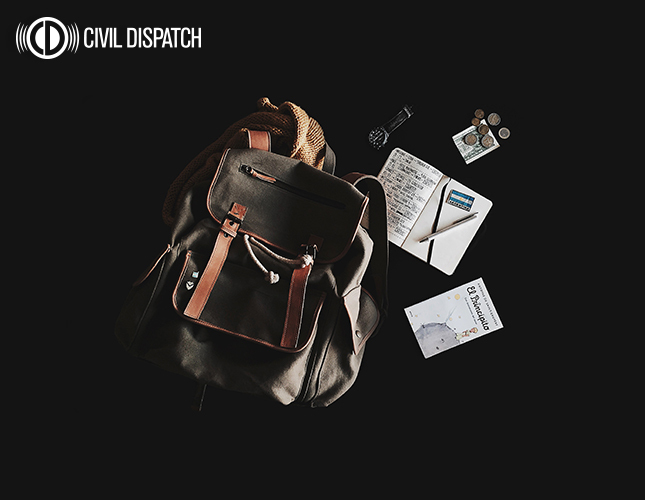 If you haven’t already, sign up for text messages from Civil Dispatch to get alerts about severe weather and delays in your area and no, these alerts cannot save you from your family unless there is a major snowstorm.